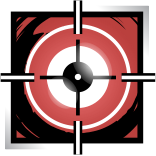 We are glad to announce major changes for our new Mid-Season Reinforcements, specifically an upgrade of Glaz’s scope, a new Elite set for Twitch, several Operator and weapon balancing, and many bug fixes.. These Mid-Season Reinforcements will deploy on Wednesday, March 15, 2017. 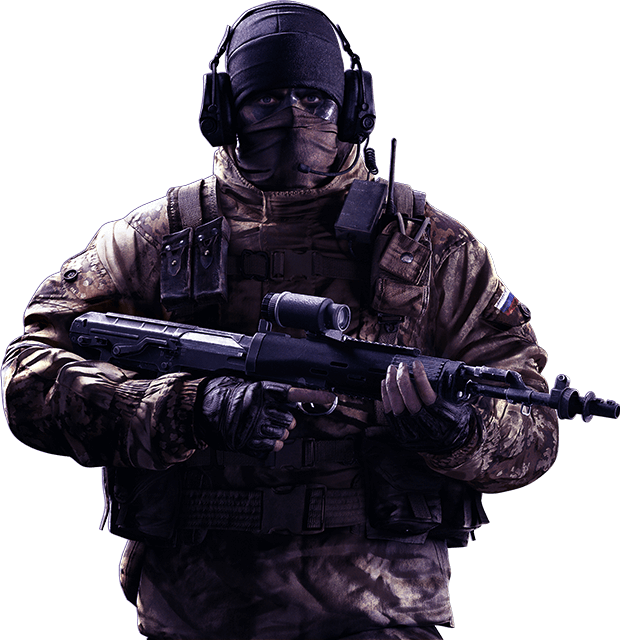 Selected to represent his country, Operator Timur “Glaz” Glazkov faced elite Corps from over 19 countries at the Worldwide Army Games. 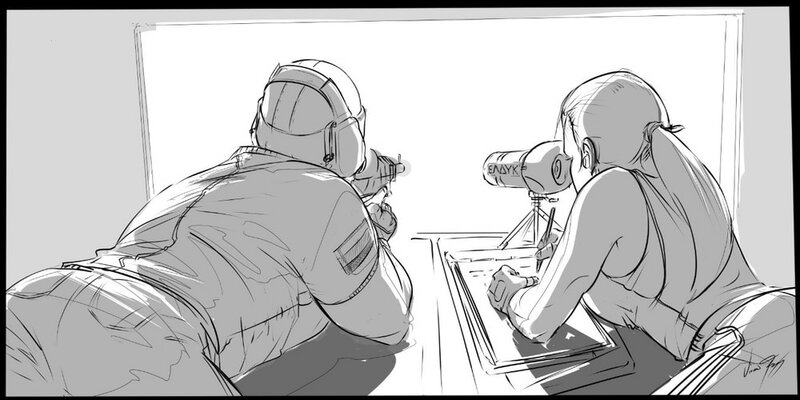 He lost the first spot at the Sniper competition to former Team Rainbow Operator Galanos, who represented Greece. Galanos is highly regarded in the field, having been decorated for a series of Operations (codename: Raven Shield) led in Rio de Janeiro. After the sniping event, Glazkov discussed with her some ways to modernize one of her prized attachments for sniper rifles. Glazkov then met her in Cyprus to run a few test sessions, before returning on the field with an upgraded scope. Now equipped with sophisticated image sensors, Glazkov’s Flip Sight can outline long range marks even through smokescreen. The biggest change to Glaz’s Flip Sight is the addition of a thermal visual feedback when ADS’ing through the scope. This will make defenders really pop when they come into view. It should be noted that this will not work through walls; the visual feedback will only appear when your opponent comes into view. However, the scope will outline your opponents even through smoke grenades, Capitão’s micro smoke grenades, and Smoke’s gas canisters. This should make things more interesting for Glaz in close quarters. Game Health is, and has always been one of the core priorities of Rainbow Six Siege. The Rainbow Six Development team is dedicated to keep supporting a healthy ecosystem of updates and featured content. In order to return to the level of quality that our community expects from Rainbow Six Siege, we are taking calculated steps to improve the health of the game with every Patch. The Technical Test Server is one of the first systems we’re deploying to raise the quality of health in Rainbow Six Siege. Deploying in the weeks following the Mid-Season Reinforcements Patch, this test environment will focus on specific technical systems we want to introduce to the game. The first of these is the One-Step Matchmaking, which was mentioned at the Six Invitational and is a new approach to our matchmaking to make it more stable. More information on the Technical Test Server, and One-Step Matchmaking will be provided in the upcoming weeks. A new instalment of Elite Skins will be deployed with the Velvet Shell Mid-Season Reinforcements. Embody the French Resistance with Twitch’s Maquis set, which introduces a new design for her offensive drones. Each set features a matching Uniform and Headgear, Operator Card, Operator Title, Charm, and a Signature Victory Animation. Explore unique facets of history with these special packages tailored exclusively for Twitch. The overheal effect to Doc’s unique gadget was introduced in the first Mid-Season Reinforcement in Skull Rain. We felt as though we needed to revisit this mechanic and decided to increase the overheal from 120 to 140. We did this change for two main reasons. First, we felt like 120 HP was not enough to truly make a difference in a firefight. Moreover, it decreased too fast to actually have +20 HP on an engagement be significant, so most of the time you would have a little amount left. We are now making it worth the effort to overheal a teammate. Buck gets an extra magazine for his Skeleton Key. We’ve added in an extra magazine to Buck’s Skeleton Key gadget. We felt like Buck ran out of ammo quite fast sometimes and wanted to give players more freedom with breaching or line-of-fire openings. Red Dot, Reflex Sight, and Holo Sight Reticle sizes are getting smaller. Due to the realignment of sights in the Velvet Shell update that brought many of the sights closer, we saw immediate feedback from the community that the reticles of many sights were back to being too large. We have corrected this and the reticle sizes will now be less obstructive when ADS’ing to allow for better precision and vision. DMR’s trigger rate has been adapted to prevent rapid firing. The DMRs’ maximum “trigger” rate has been lowered to prevent very rapid firing. This change was made because the maximum trigger rate was too high. Some people were able to click so fast on their mouse that it turned the DMR into a fully automatic AR. We felt like this was too strong. Echo’s MP5SD2 does more damage at medium range. We have buffed the MP5SD2’s damage at medium range. We felt like the weapon’s damage was subpar because of its integrated silencer. Before the patch, the gun dealt 25 damage from 0 to 10 meters, then fell to its lowest damage at 14. It now has 29 damage from 0 to 15 meters then falls off to 14 damage at 20 meters. Thermite’s 556xi’s is easier to control. The 556xi’s recoil has been tweaked to make it easier to control. The weapon’s personality has not been changed, but you should have an easier time at being more precise with it. Caveira’s Luison’s damage dropoff has been tweaked. Caveira’s Luison damage has been buffed at medium range encounters. Pre-Patch, the damage went from 70 damage at 7 meters down to 20 damage at 18 meters. Now it goes from 70 damage at 7 meters to 35 damage at 18 meters. It then falls of to 20 damage at 24 meters. We felt like Caveira’s signature weapon damage dropoff was too sharp and made it hard for players to understand what range is lethal and which isn’t. It is now as good, or better, at all ranges than the standard PRB92. Jackal’s C7E’s recoil is getting balanced. We have increased the recoil of the C7E. We felt like it was way too accurate and had no downsides. It is now harder to control for prolonged full automatic fire. Capitao’s PARA-308 is getting a recoil buff. We have buffed the PARA-308’s recoil. A lot of the Pro League players expressed how hard to control this weapon is and we felt they were absolutely right. It should be easier to control over fully automatic fire and should sway a little less to the sides. Last week we implemented several fixes to resolve the occurrence of an exploit that would result in the winning team receiving zero ranked MMR points. On top of resolving the actual issue, we have also reinstituted an abandon penalty for exiting a ranked game during the final kill cam. We will be continuing to monitor this issue closely and we welcome your to share any feedback or issues on our forums and subreddit. FIXED – There is an exploit that results in Ranked games awarding 0-5 MMR after a win. FIXED – Hit registration and kill cam show a headshot without the proper bonus point with a neck shot. FIXED – The player cannot detonate a Nitro Cell if they are put in a DBNO state while holding it and then revived. FIXED – Weapons will become invisible when the revive animation of a player or hostage is interrupted. FIXED – The feedback for cooking a Frag Grenade is not replicated in support mode. FIXED – The camera clips through an Operator when they go down stairs while in prone. FIXED – The compass does not move, or shows the wrong direction, while the player is rappelling. FIXED – Crouching under a deployable shield while it is being placed will allow the character to sometimes clip through it. FIXED – The smoke grenade effect passes through floors. FIXED – In some cases, playing placement ranked matches do not count towards total placement matched needed to obtain a rank. FIXED – Jackal will sometimes not activate a Nitro Cell when walking near it. FIXED – Extraction animation played at a specific point causes AI to remain stuck running in place. FIXED – Shields are not protecting Operators from explosive damage. FIXED – Blitz has spent additional time at the range, thus reducing the draw time on his weapon after triggering his Shield Flash. There is no longer a 2 seconds delay before Blitz can fire his weapon. FIXED – Frost is unable to place her traps near a window. FIXED – When hit by a Yokai sonic burst, the camera mode can't be used for the duration of the disorientation effect. FIXED – The Yokai drone resets its initial camera direction every time Echo accesses it. FIXED – The Yokai drone will sometimes experience the wrong collision detection when it is sticking to the ceiling and will result in a "losing signal" error. FIXED – Breaking reinforcement panels placed around indestructible pillar will leave gaps between the wall and reinforcement. FIXED – The One Way Mirror plant event is triggered twice, making the sound too loud. FIXED – Sometimes Mira cannot place Reinforcements next to the One Way Mirror. FIXED – The frame of the One Way Mirror switches to the place where the second Mirror is being deployed for a player who has joined in progress. 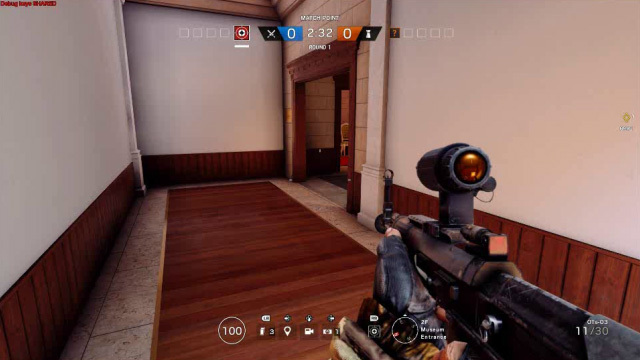 FIXED – Breach Charges and Exothermic Charges are not destroyed if a One Way Mirror is placed on the opposite side of the same wall. FIXED – Sledge's model is corrupt during gameplay when viewed by other players. FIXED – It is possible to shoot Montagne's pistol with his shield extended while doing a specific action. FIXED – Destruction on the ceiling of the Piano Room above the fire place can only be seen from one direction. FIXED – Players can clip through the 1F Dining Room outside door and can be killed by enemies. FIXED – A player will get stuck in a wall when entering from rappel in 1F Dining Room. FIXED – Defenders are able to clip into the outside shed by vaulting over a deployable shield. FIXED – Objects on shelves disappear and deform upon LOD drop. FIXED – The Square button on PS4 loses functionality on the highlighted items on the Shop tab if the user tries to buy with square button and returns. FIXED – The screen remains in continuous loading when accessing the Ubisoft Club Challenges in-game and in the Uplay client. FIXED – Full screen mode on a customization item can only be accessed once per item. FIXED – Certain charms contain placeholder icons.